Published: Sept. 17, 2017 at 02:47 p.m. 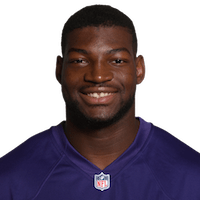 The Baltimore Ravens defense keeps rolling with linebacker Tyus Bowser's interception. Published: Aug. 10, 2017 at 09:37 p.m.
Baltimore Ravens cornerback Jaylen Hill intercepts pass to stop Redskins drive.